Logan is excited about reading, studying, and teaching God's Word and loves to apply it to daily life. He is passionate about using Scripture and his own traditions, reasoning, and experiences to help others get to know Jesus and find hope, meaning, and joy for their lives. He has written a book called Heroes of the Faith that is based on all the faithful witnesses found in Hebrews 11. Logan grew up in Harrisburg PA and graduated from Indiana Univ. of PA with a criminology degree, and later received a Master of Divinity degree from Winebrenner Theological Seminary with a specialization in family ministry. He has been blessed with opportunities where he taught and ministered to people of all ages, as well as the homeless, drug-addicted, and incarcerated. He previously worked as a child protective services investigator and part-time pastor before entering full-time ministry. He is ordained by the Eastern Regional Conference of the Churches of God - General Conference. He enjoys playing golf, watching all sports, and spending time with family. Logan is married to his wife Clara, who provides care management for older adults and people with disabilities. They live in Dover and have one daughter, Evangeline. Josh is a lighthearted person who loves to laugh and have fun as he teaches others what he has learned through his studies and experiences. He loves to help people find their freedom, purpose, and calling in Christ Jesus while adding value to others, developing leaders and ministering to marriages in the Body of Christ. In 2016 he received his license and ordination through Crossroads Theological seminary and is currently pursuing his credentials through Churches of God – General Conference while taking classes at The ERC ministry training institute. Along with his passion for teaching, mentoring and discipling Gods people. He also enjoys spending time with his family who consist of Jessica his wife who is currently involved in the York county prison ministry. As well as his two children Isaac and Rebecca. In his spare time, he enjoys reading, sports, building things with his hands, coaching his Sons T-ball team and spending time in the God’s creation through hunting, fishing and camping. After being at Friendship for nearly a year, our new Worship Arts Director Shawn Peale is no longer new. 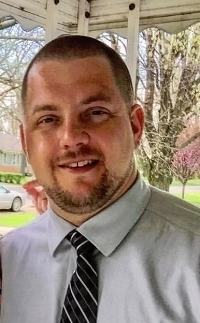 Before being at Friendship, Shawn has studied at Elim Bible Institute and College and served at Elim Gospel Church and Mechanicsburg First Church of God. He continues to pour out his passion of worship and people each week through our weekend services and brings fresh ideas to the services as well. Since he’s come on we have doubled the size of our worship team and enter in God’s presence during our services each week. Shawn continually fosters the idea of an excellence and relationship-based worship team and looks forward to the future here at Friendship Community Church. One of Shawn’s biggest dreams is to travel the world leading worship watching people have genuine encounters with God night after night. In his free time he likes to fellowship with people, read, write songs, cook and watch Netflix. Gary was behind the computer at the first service in the new church building in 2002 and has served in various roles since. He has an Associate’s degree in computer networking from Keystone Technical Institute. He has two children, Cody and Kala, who live in Dover, PA. He loves woodworking and computers. Gary enjoys leading the tech team in delivering the best church experience possible. Jen has a passion for working with both children and teens. She has a bachelors degree in psychology and her work experiences include working with teenagers in a group homes and working in child-care. She has been volunteering at Friendship since her arrival in 2010 and has enjoyed working with the youth, teaching Sunday school and singing in the praise band. More recently, in August of 2017, she married her husband, Nolan, right here in the sanctuary. Friendship has been such a blessing in Jen's life, and she is looking forward to extending that blessing to others through children and youth ministry! Sarah grew up in the Dover area and still resides here with her husband and son. Sarah earned a Bachelors degree in Paralegal Studies and prior to being the Church Administrator she was Collections Enforcement Manager with York County. She and her husband enjoy spending time as a family seeing their son participate in experiences at church and in the community. In her spare time, she loves to read, watch football, create blankets for new babies and going to the beach with extended family. She is active in home bible studies, sharing, discussing, and seeing God’s Word become a living part of people’s lives. Pam loves working with children! She has been a preschool teacher for more than twenty years, and since 2010 has been the Director of Little Friendships Preschool. She loves teaching and is very glad to be able to use this passion at Friendship Church. Pam also loves taking care of her rain garden and releasing monarch butterflies and is a beekeeper, along with her husband, Jerry. They love to travel to Chicago, sometimes just for the pizza! Her daughter Jen is also actively involved in the church as she helps with the Children and Teen ministries and the Praise Team. Pam would love to teach your children at Little Friendships! Sandy loves teaching at Little Friendships Preschool She has worked with children for over twenty-five years and considers it a ministry of the heart. She and her husband, Randy, have two daughters, Olivia and Deanna. They enjoy going to Knoebels Amusement Park and visiting Ocean City, New Jersey every summer. Sandy is also a talented artist and has worked on many projects for the church, including the set design for the stage themes. Kim works full time as an office manager. She began attending Friendship in 2015 and is an active member. She has two daughters and two granddaughters. Kim enjoys gardening and walks in the woods to enjoy God’s creation. 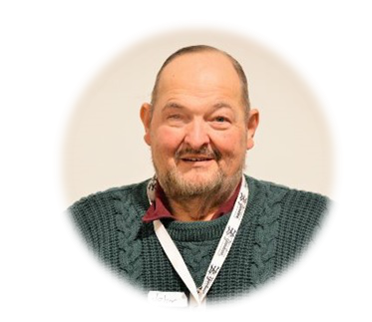 Dennis founded Friendship Community Church. The first service was March 17, 1991 at the Bob Hoffman YMCA in Dover. Dennis vision for Friendship was to see unconnected people find God in their lives. He is passionate about anything that helps people say “yes” to God. Now retired, he enjoys watching sports (especially the Steelers), playing golf and taking long walks with his new rescue lab mix, Maggie. He is married to Ruth, and has two children, Joshua and Peter. It is with great human sorrow and even greater heavenly joy that I report to you all that on October 1, 2018 , our beloved Pastor John Harman took his last earthly breath and entered into the glorious presence of his Lord and Savior Jesus Christ, where he no doubt heard those precious words, “Well done, they good and faithful servant”. He is no longer suffering and is now dancing with Jesus with no more pain or sorrow. We will grieve, and we will miss him, but we will thank God for his life and service and will celebrate his going home. Please keep his wife, Sue, and his sisters Rita and Linda, in your prayers as well as all the friends, family, and church friends who knew and loved John.